Of course, the stopover is also a must in summer. A perfect hike requires a convivial visit to a mountain inn or hut. 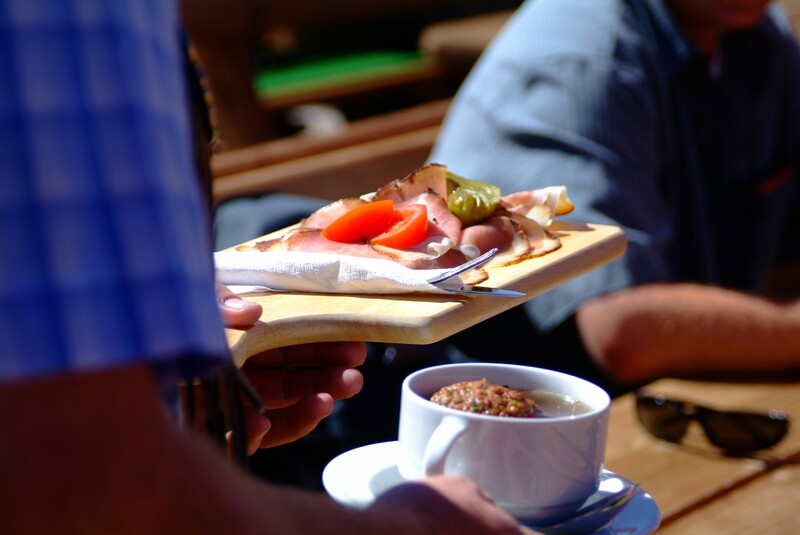 Let yourself be spoiled by the culinary delicacies of Dorfgastein's farmers in the mountain restaurants. 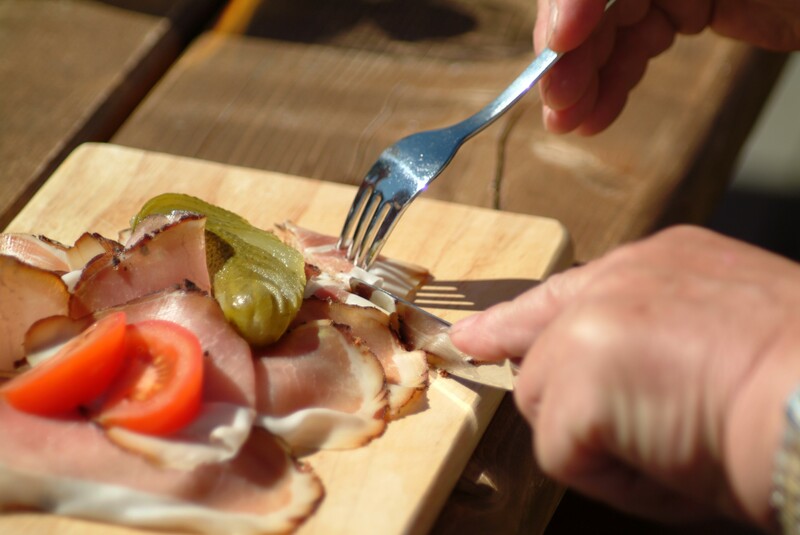 Home-made butter, buttermilk, farmer’s bread, bacon, cheese, jam, schnapps and liqueurs - the mountain pastures in Dorfgastein make the hearts of all connoisseurs beat faster. 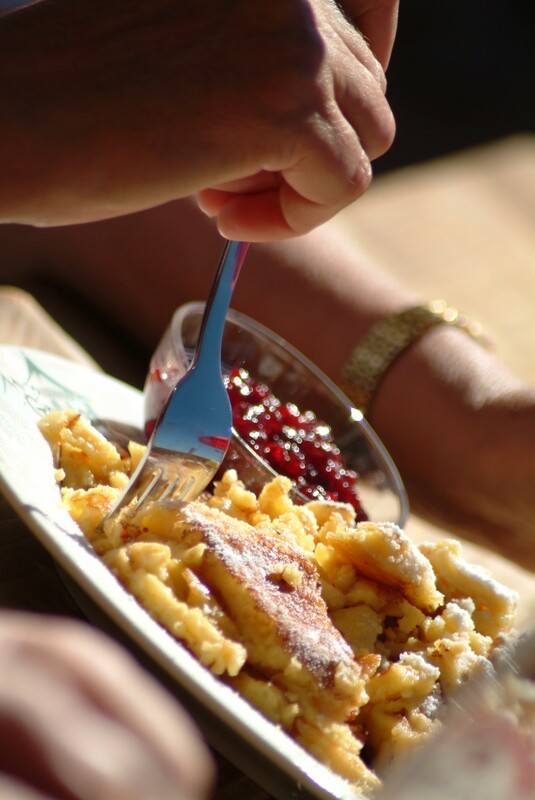 HAUSERBAUERS GIPFLSTADL 2,033 m – the Kaiserschmarrn (shredded fluffy pancakes) alone make the visit worthwhile! 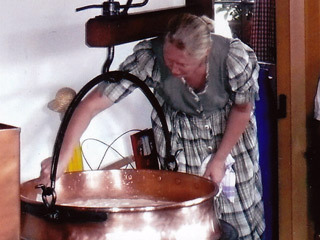 STROHLEHENALM 1,140m – once a week, the dairymaid allows guests to watch her make cheese – join this opportunity! *** KÖGERLALM 1,360 m – not only snacks are served on the Kögerlalm, a rich menu also awaits. 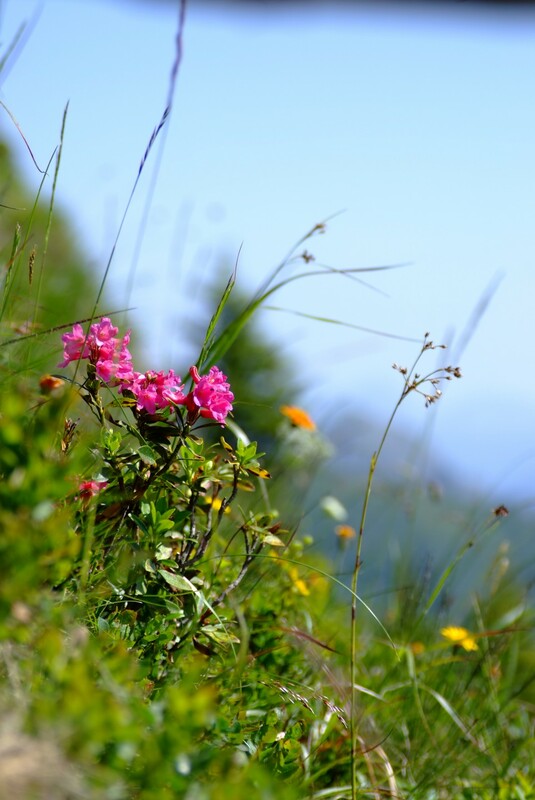 *** HEINREICHALM 1,688 m – also visit the Heinrich chapel! 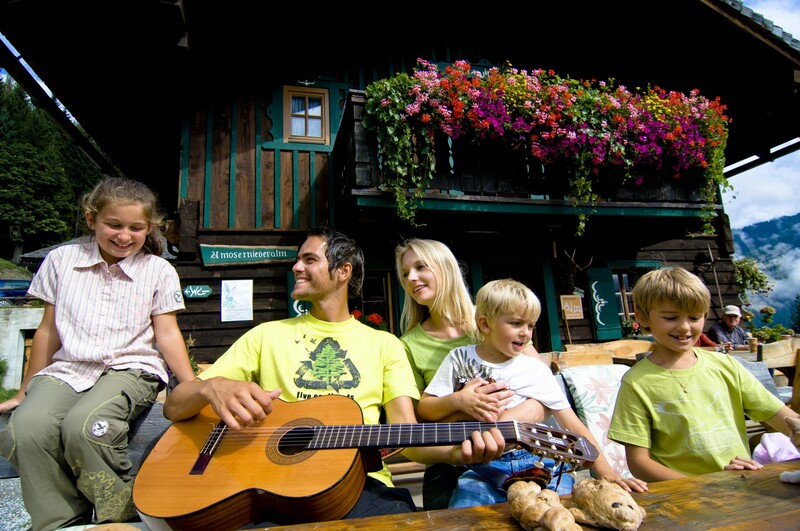 *** PRÄAU HOCHALM 1,811 m – one of the most rustic and quaint cottages of the Gastein Valley! GAMSKARKOGELHÜTTE 2,467 m – can be reached on foot from the Rastötzenalm in approx. 1.5 hr. The hut at the Gamskarkogel summit was founded in 1828 and is thus the oldest shelter hut in Europe and offers a quaint flair. BIBERALM 1,734 m – a popular destination for hikers and mountain bikers on the western valley side of Bad Hofgastein. The products are made in-house. The freshly made pastries and cakes are a sweet suggestion. A small nearby playground and animals to be pet await the young guests. *** The 340-km long Salzburger Almenweg route takes you past 120 alpine cottages. Almen huts that are marked with 3 stars are set right along the Salzburger Almenweg and also offer accommodation options for tired hikers!